Girl make a statement in this show-stopping maxi dress. 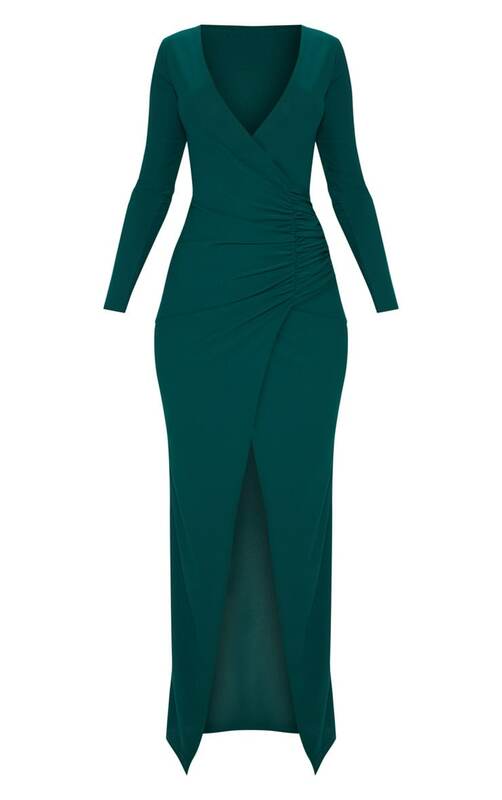 Featuring an emerald green material with a plunging neckline, ruched detailing and a thigh-high split. Team this dress with strappy heels and gold accessories to complete the look.